As a retired teacher, it has felt strange lately not to be getting my classroom ready for another school year. However, the shelter dogs have been keeping me busy instead. We’ve had some wonderful new arrivals and some terrific adoptions. 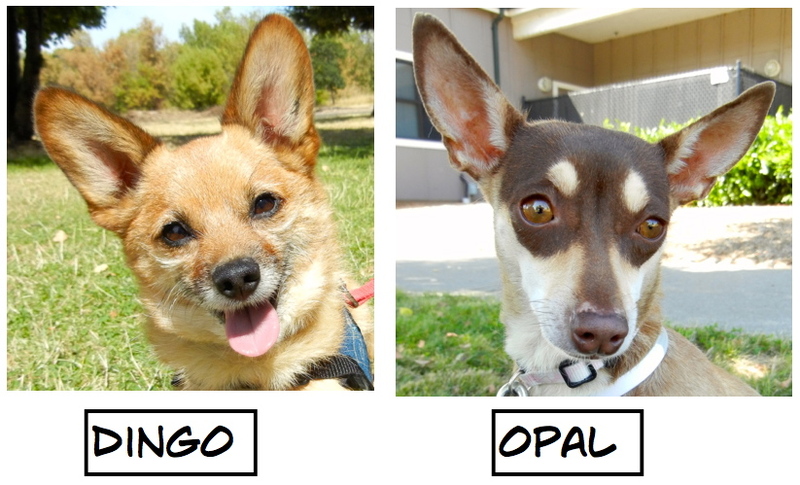 Last week’s adoptions included these Blog Dogs. Willow wasn’t actually a Blog Dog. As she was on the adoption floor for such a short time, I did not get a chance to write about her. However, I had spent quite a bit of time with her when she was not yet ready to be adopted. She came to WHS from California extremely shy and fearful. With the encouragement of staff, volunteers, and a couple of weeks in a foster home, Willow began to gain confidence and we were all so happy when she found her forever home. 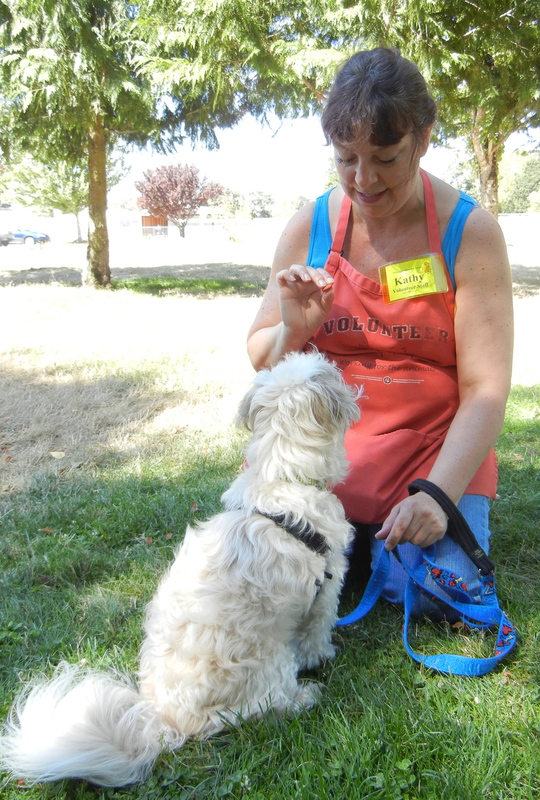 We had fewer small dogs and more large dogs for Sunday’s play group. 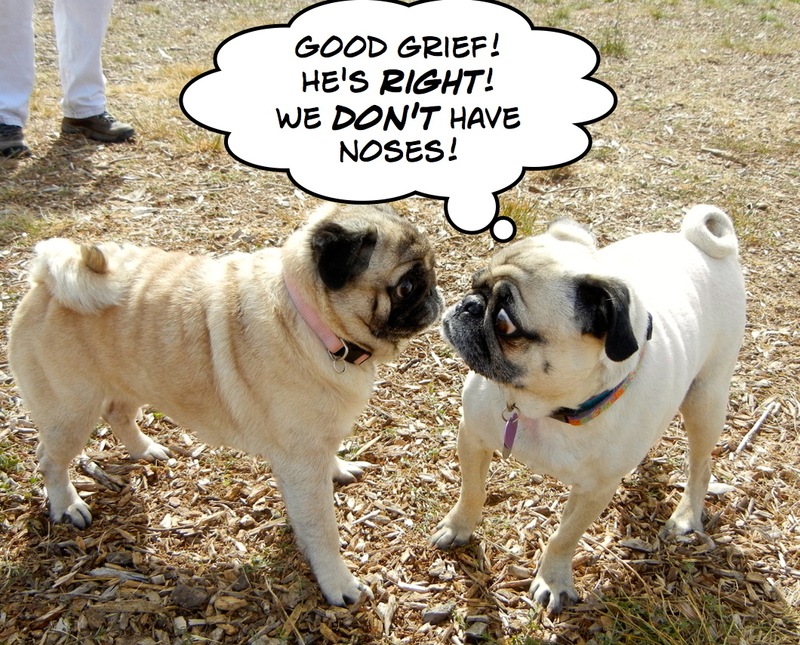 However, there were two Pugs, one a shelter dog by the name of PugPug and one who belonged to another volunteer. They caused quite a stir among the big guys, some of whom had never seen this breed before, like Keeba and Brooke. 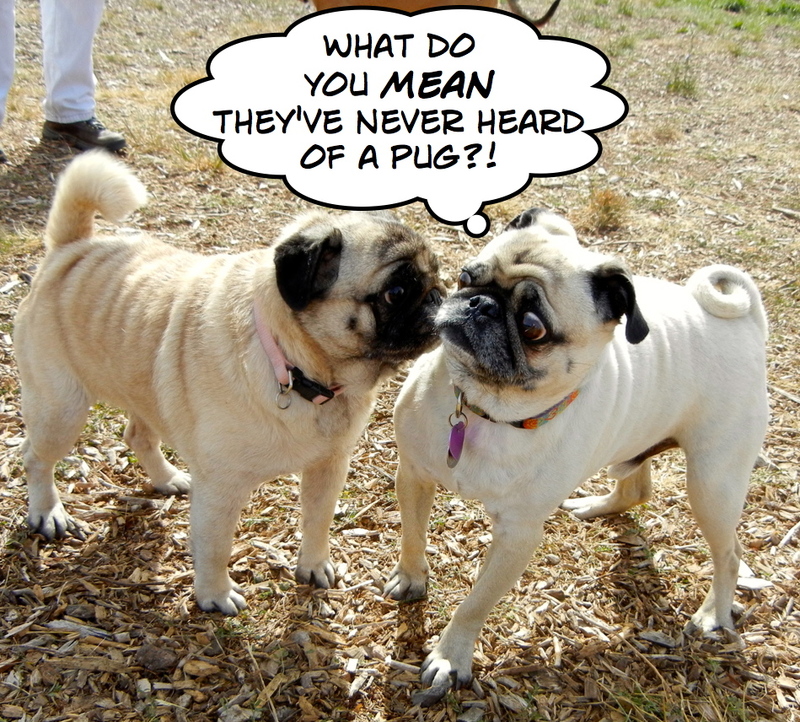 The Pugs were taken aback! Sometimes the truth is quite shocking. 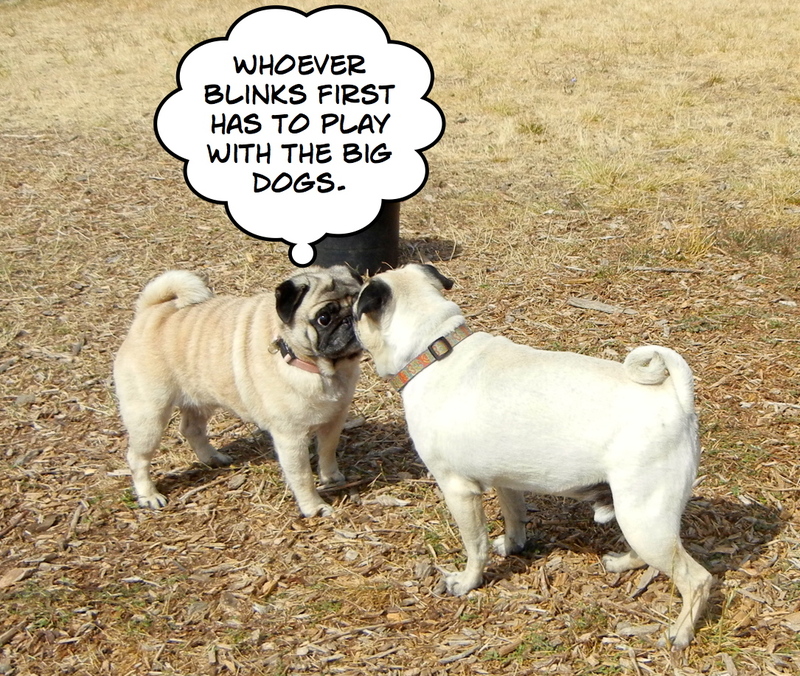 Pugs often make up their own games that only they understand. 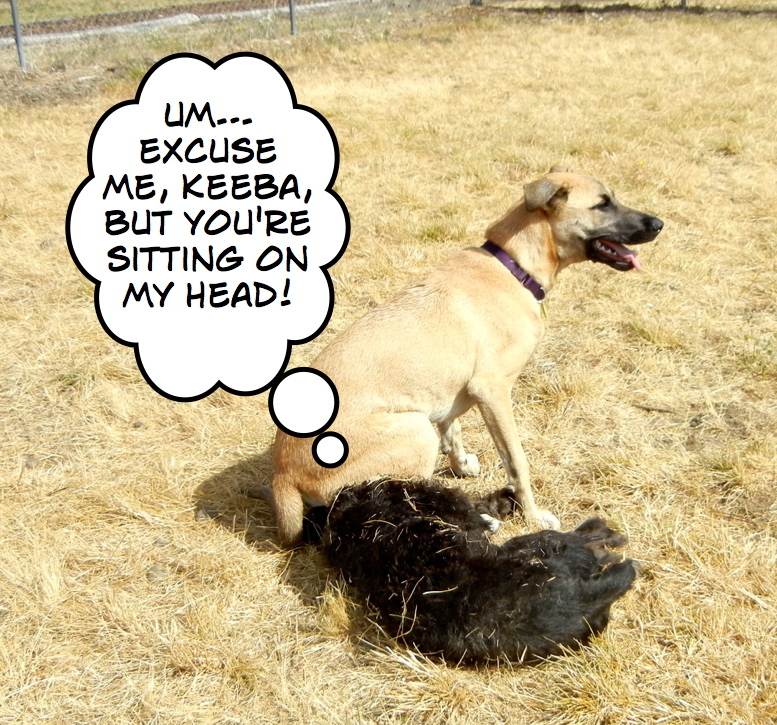 Meanwhile, farther out in the yard, Keeba had moved on to play with Zoe, a staff member’s dog. It was a very interesting and entertaining play group to say the least! Nope, no pesky cats for me, please! 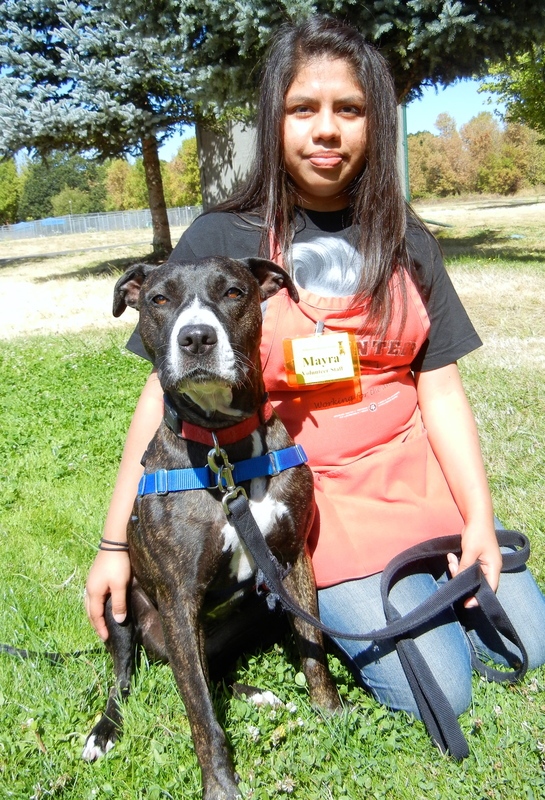 Later on Sunday afternoon, I happened to see volunteer Mayra walking Brooke, who is a two-year-old Pit Bull Terrier mix. 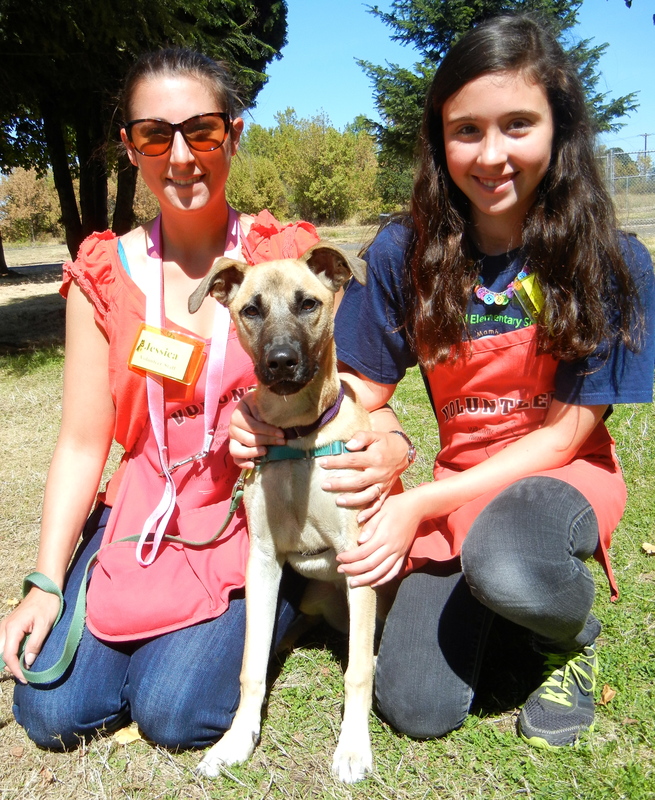 Brooke had a great time in play group and gets along with other dogs. However, she really dislikes pesky felines and so must go to a cat-less home. 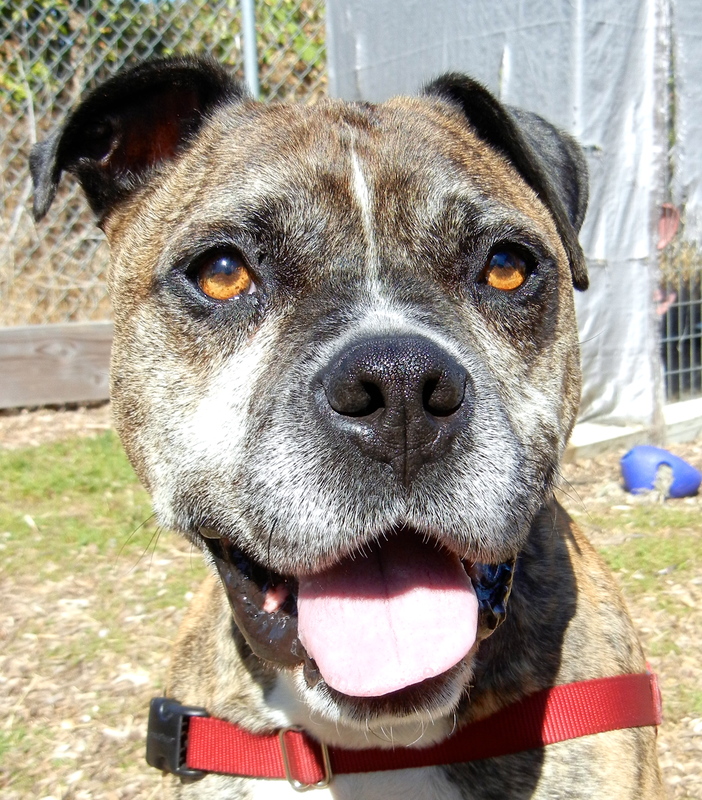 Other than her cat issue, Brooke is a delightful dog who is looking for a new family to love. She walks well on leash and takes treats gently, but I couldn’t get her to smile for the camera. She really isn’t as serious-acting as this photo implies. She loves to play. Here she is in a less serious mood later. Need some action? Some fun? Some exercise? Pick ME, pick ME! 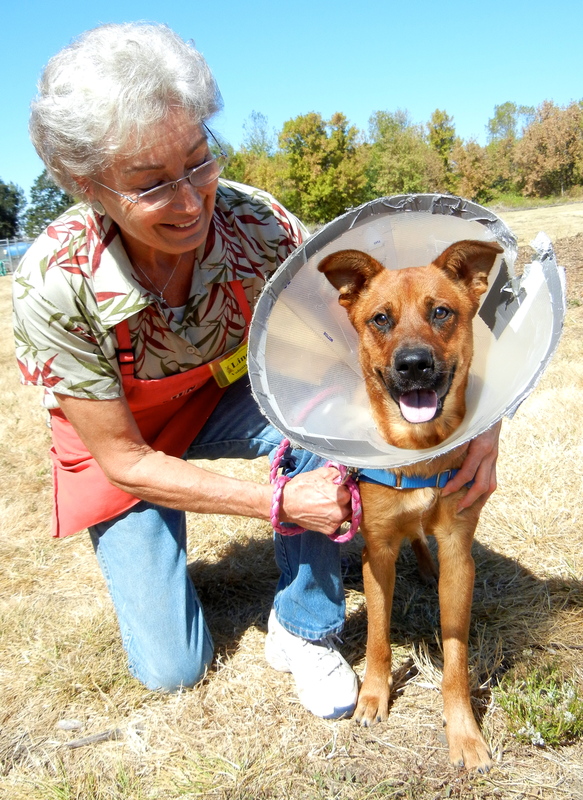 Keeba is a ten-month-old Belgian Malinois mix. I made the foolish comment during Sunday’s play group, that no doubt she’d be tired after racing around the yard for an hour and a half, having the time of her life. Tired? Not a chance. 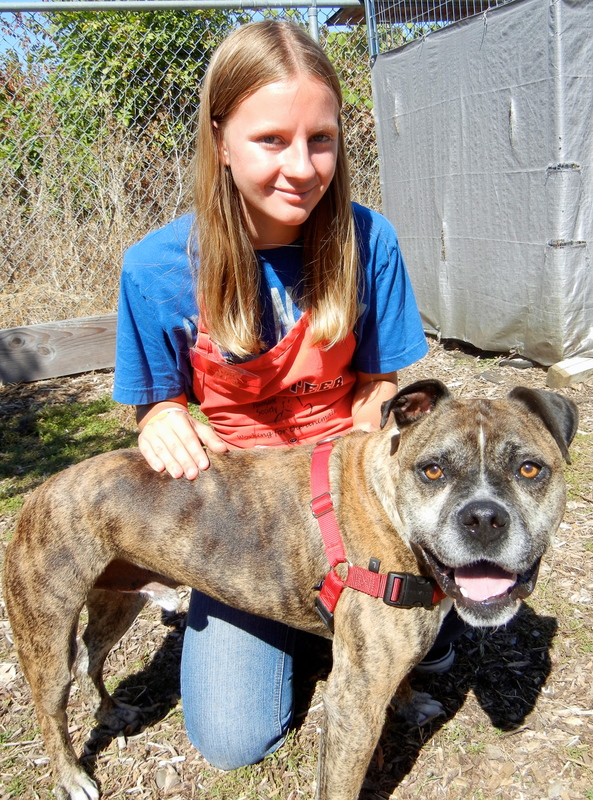 This young dog would be a perfect fit for a serious runner or jogger. She has a splendid personality, but will need a lot of exercise. Training classes at WHS would be perfect for her as she grows into an adult dog. Here she was on Sunday with walkers Jessica and Gracie. My name is Arthur and I already know some stuff! 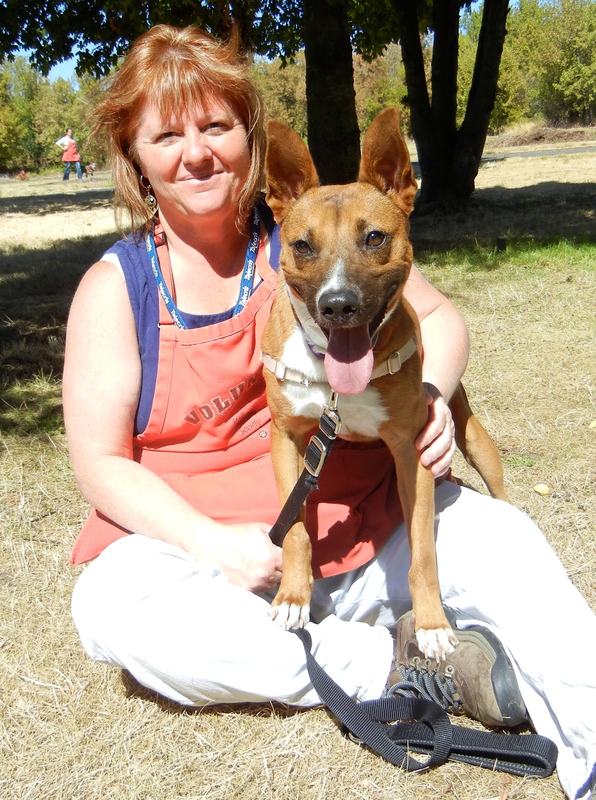 Arthur is a two-year-old Basenji mix. Here he is on Sunday with walker Sherrie. He is a very smart boy who already knows some commands and is eager to learn more. He will make a good family dog as long as he gets enough exercise. He loves action and would enjoy WHS training classes. He’s a happy dog. Need a good buddy? That would be ME! 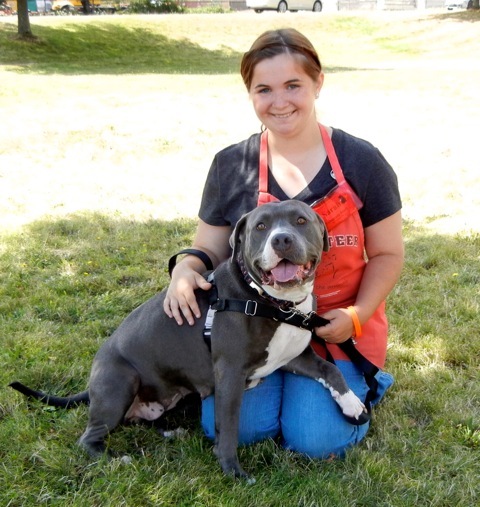 I love this picture of volunteer Sarah and Galaxy, a one-year-old Pit Bull Terrier mix. Galaxy is an energetic young girl who can be quite boisterous when she first greets you, but soon settles down into a lap dog, as you can see. She wants so badly to be part of a family that she can call her own. Sarah fell for Galaxy almost immediately upon meeting her. She’s another one who would do well in a WHS training class to help her learn to calm her initial enthusiasm. I love this closeup of Galaxy. I got to spend some time with Galaxy this afternoon. She is such a happy, affectionate girl. She will make a wonderful family dog. 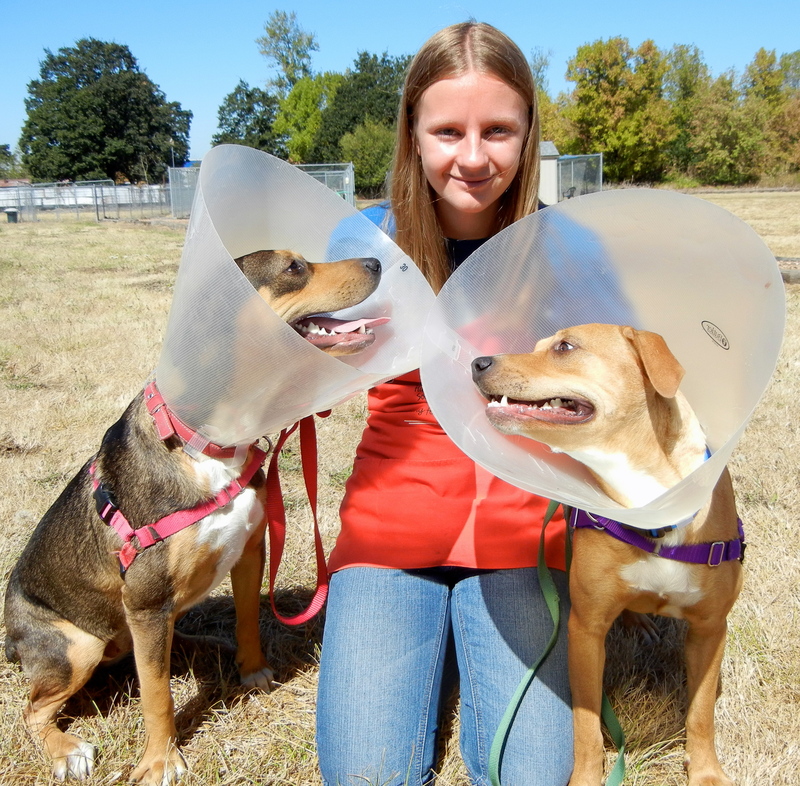 Emelynn’s Picks of the Week: The Cone Heads! 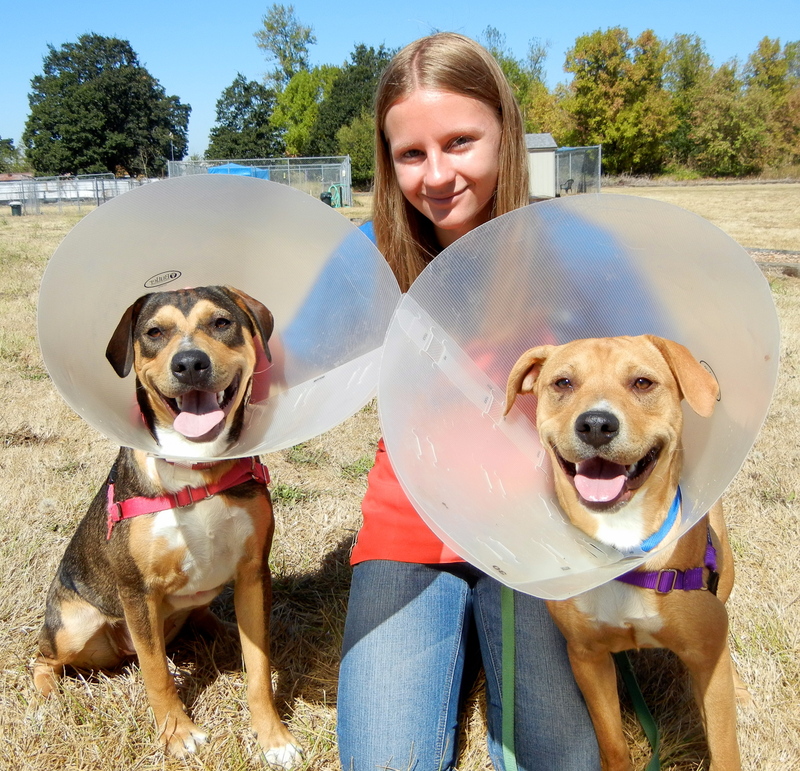 Meet Elektra and Kimba, both wearing cones because of being spayed. 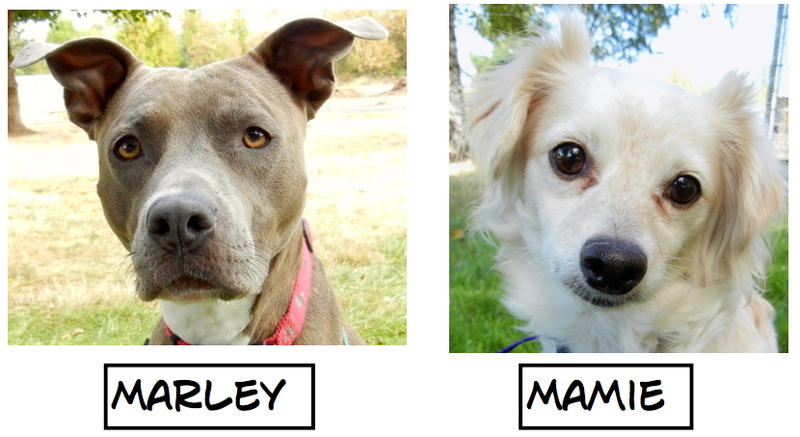 Both are nine-month-old Pit Bull Terrier mixes. Both are terrific dogs who are good with kids as long as the kids are big enough not to be overwhelmed. They each took hot dog bits gently, walked on leash politely, and were happy to pose for pictures with Emelynn. 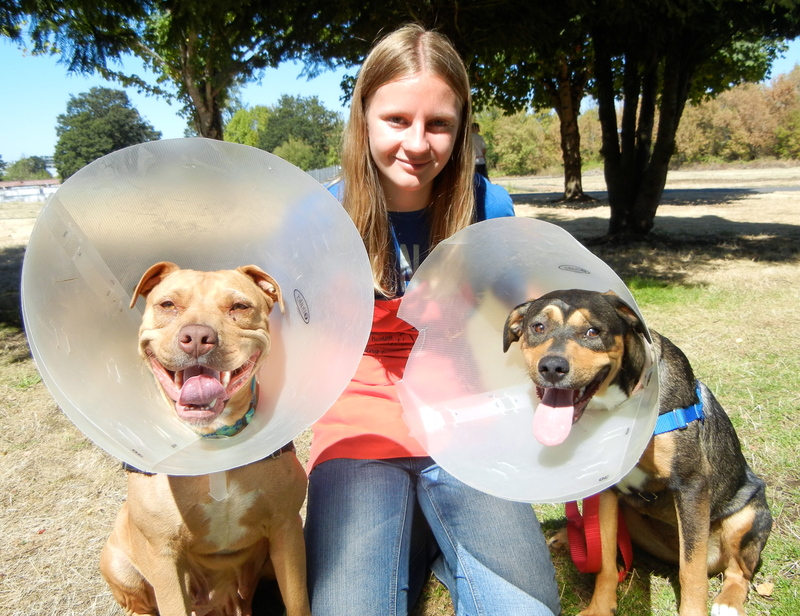 Meet Mindi and Copper, two Pit Bull Terrier mixes who also just got spayed. (Yep, all four came in together.) Mindi is two years old and Copper, like her siblings, is nine months. These two also are fine with older children. 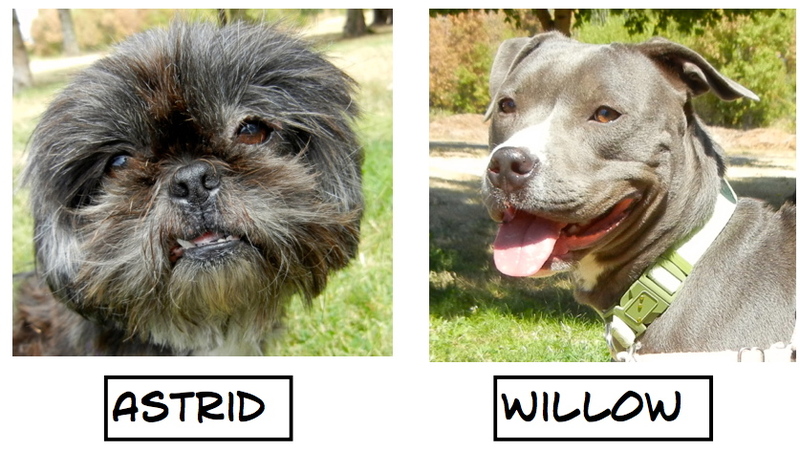 All four of these dogs are happy and excitedly waiting for new homes with families to love. One of the first dogs I saw being walked today was Liftoff, whom you’ll remember from last week. As you can see by his cone, he’s been neutered. You can also see that Liftoff hasn’t been easy on his cone. He’s been sad that he hasn’t been able to play ball and be in play group. 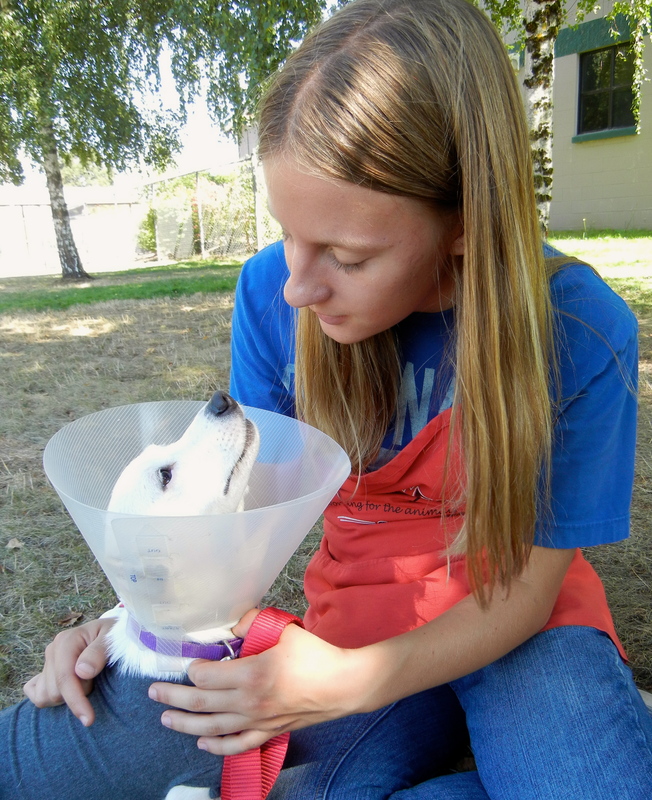 But his cone will soon come off and he’ll be back to being the young and playful dog that he is used to being. 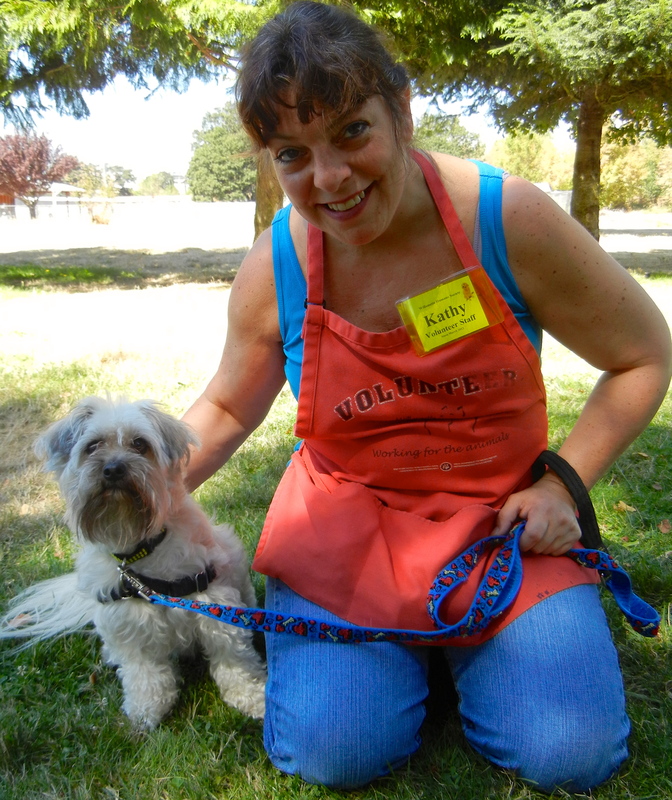 Here he is today with volunteer Linda who is one of his biggest fans. I’m new here. Need a dog? I met a new arrival today—Chester—a three-year-old Shih Tzu Terrier. 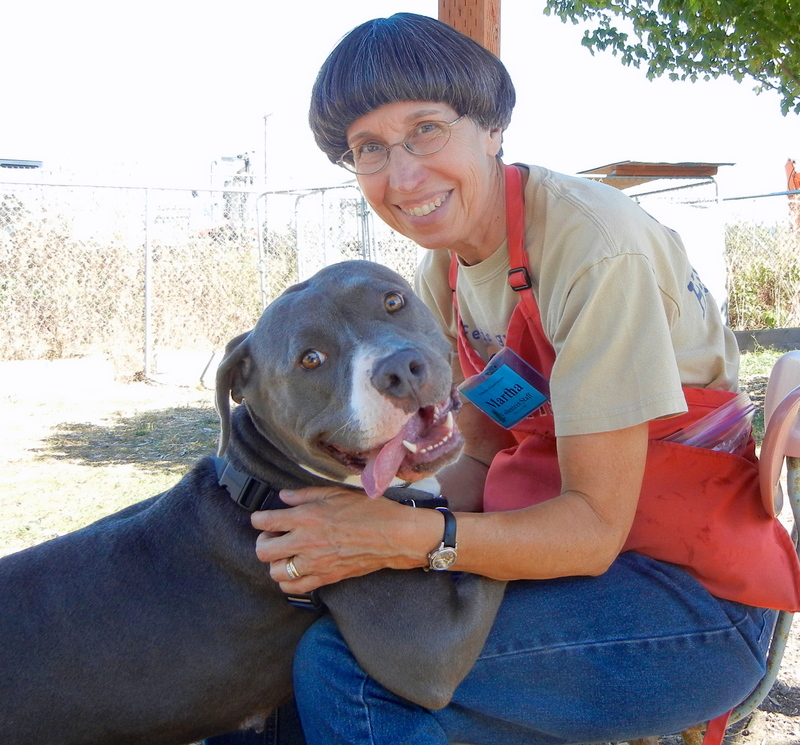 Here he is with volunteer Kathy. He’s a little shy at first meeting, but warms up quickly. 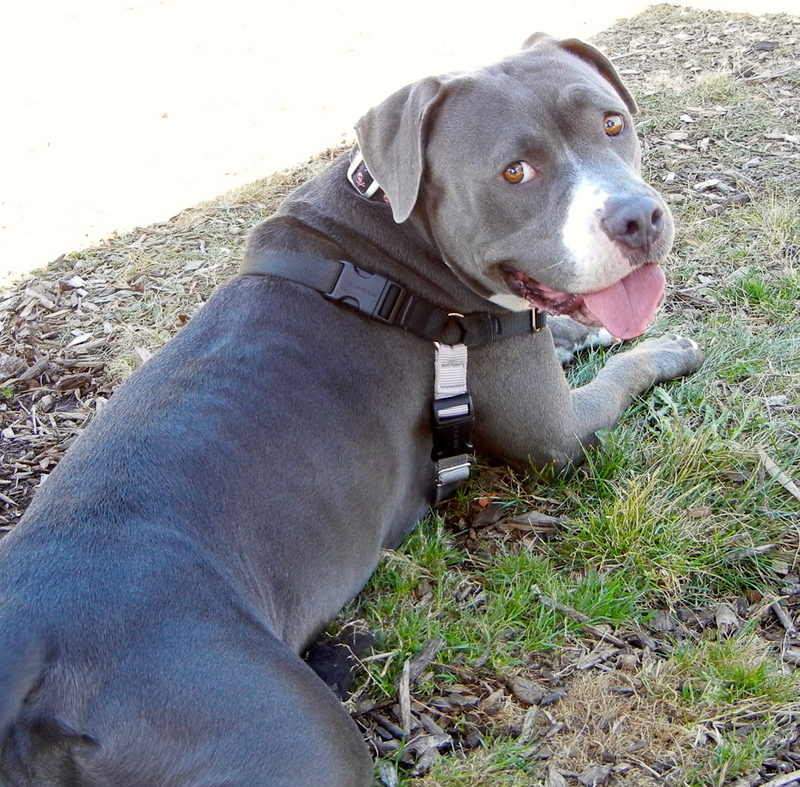 He knows several commands and will be a cooperative, easy-going new family addition. He was eager to sit for the hot dog bits that Kathy offered. We’re still here waiting to go home together! 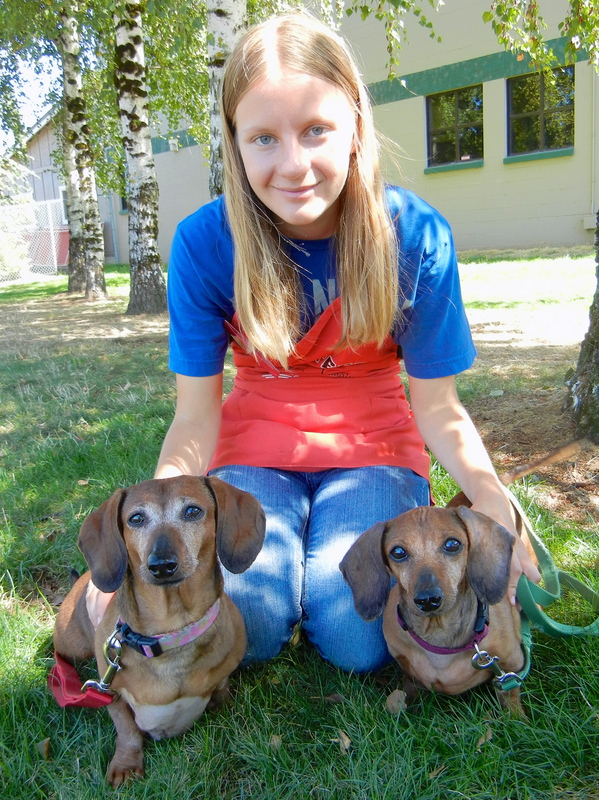 The girls, Annie and Tootsie, twelve and ten years old, respectively, haven’t found their forever home yet. Emelynn and I enjoyed hanging out with them this afternoon. I’m deaf, but I don’t let that slow me down one bit! 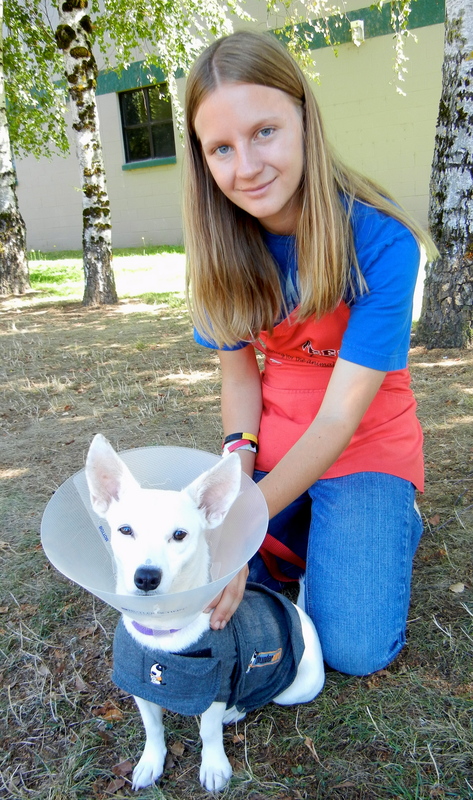 This is little TJ, a two-year-old Chihuahua mix who is one of our California dogs hoping for a new home in Oregon. TJ is quite inquisitive and always looking for adventure. 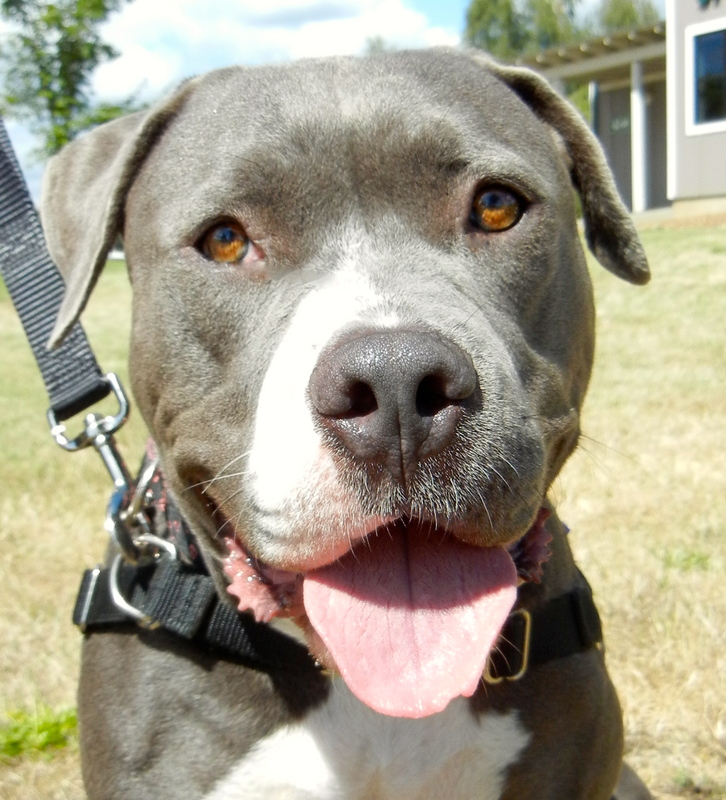 This can get her into trouble, so she will need a family who will give her plenty to do and lots of exercise. Today she seemed very sad sitting in her kennel, wearing her cone from being spayed, but as soon as she realized we were taking her outside, she was bouncing up and down with excitement. Being deaf will present some training creativity. She needs a family who will give her understanding and be patient with her. Don’t worry, I’m just getting over a cold! I’m still ready to go home! Remember Barthalamew from my August 22 post? Well, he caught a little cold and is in the ISO kennels while he gets over it. However, he’s not feeling under the weather one bit anymore. He was very excited to get outside and split his time between Emelynn and me hoping for hot dog bits. 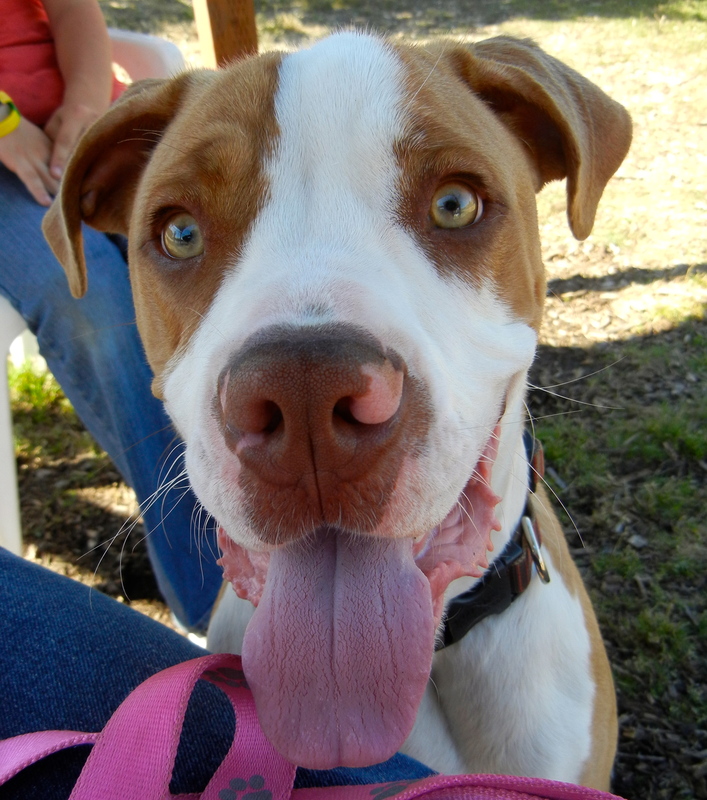 Barthalamew is a one-year-old Pit Bull Terrier mix who is looking for a family ready for fun adventures. He has such a great face! I’ve been here quite awhile but I’m willing to wait longer for my new family. The last dog Emelynn and I spent time with today was one I hadn’t really gotten to know and one I’m glad I took some extra time with. 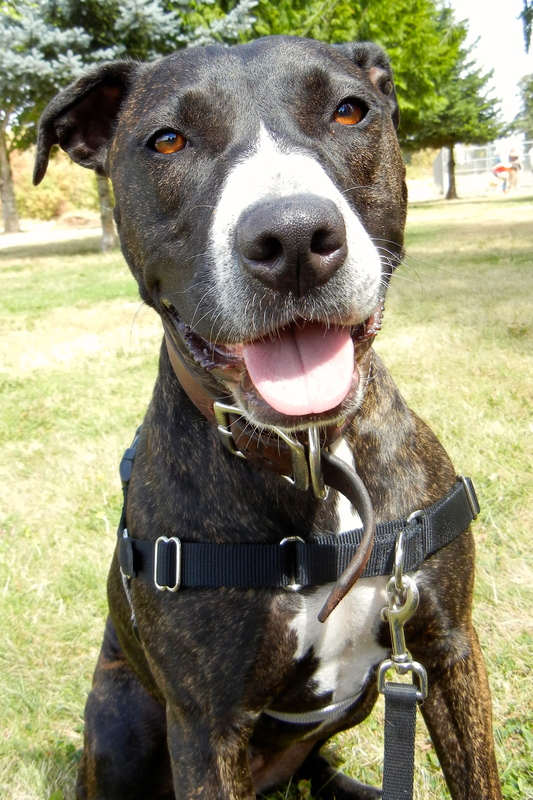 This is Spartan, an eight-year-old Pit Bull Terrier mix. He has been in the ISO kennels getting over a cold for several weeks. He is such a mellow fellow with a calm, affectionate personality. 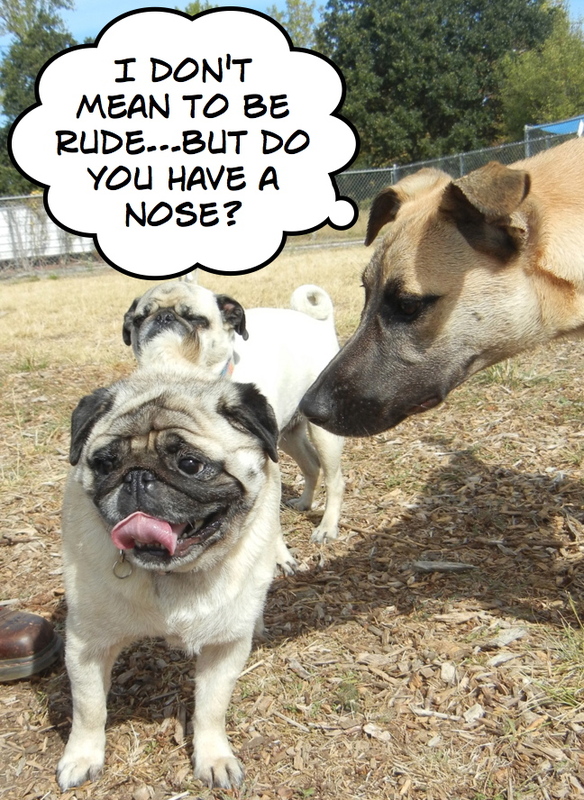 He will make a great family dog with his polite manners and gentle ways. He has beautiful brown eyes. Spartan has been at WHS since the beginning of August. I think he has been overlooked because he has been in the Isolation Kennels due to his cold. He can still be adopted, however, and will soon be back in the regular kennels. I hope he’ll be adopted very soon, he’s so deserving of a great family. 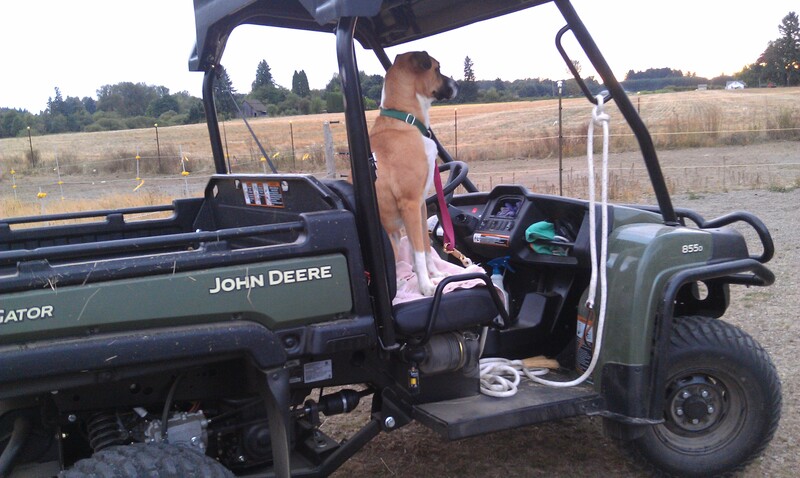 City dog moves to the farm! 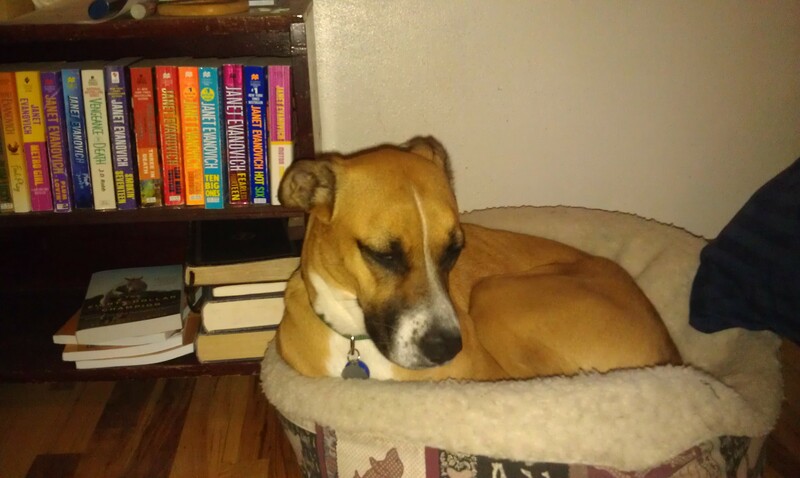 Remember Gracie, the three-year-old Hound mix from a couple of weeks ago? Well, I was thrilled when I got this update and pictures from her new owner. What a wonderful life Gracie now has with her forever family. What a happily-ever-after story! 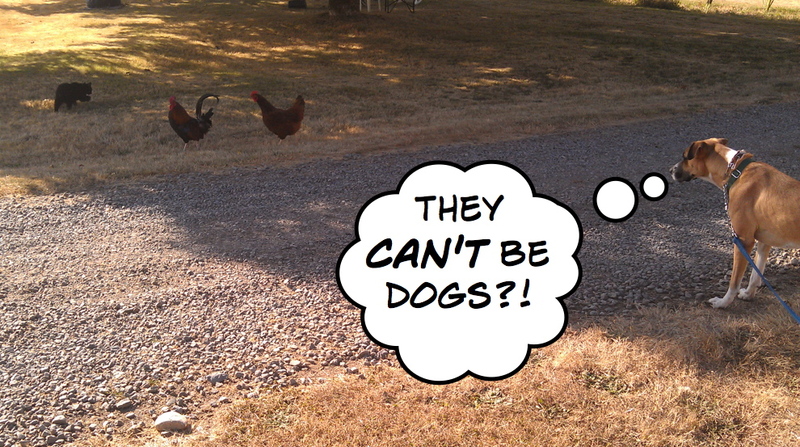 I couldn’t resist adding what I am sure Gracie was thinking when she first saw the chickens. I just got this additional update tonight! 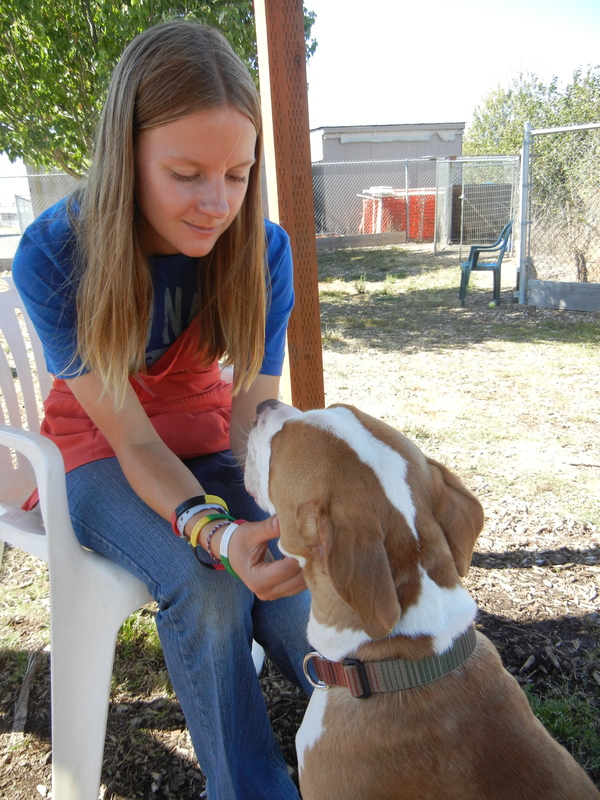 Thank you, Kathy, for letting us know what a great second-chance life you are giving this sweet shelter dog! Next week I am having out-of-state company, so won’t be walking dogs on Wednesday or writing my blog. (I will, however, be taking my friend to WHS to visit.) So I’ll write my next post in two weeks. See you then! Sparton is a wonderful boy. He will make a wonderful family member in your home.